AIG's headquarters in New York City boasts breathtaking views, unless you are looking at the company's finances. 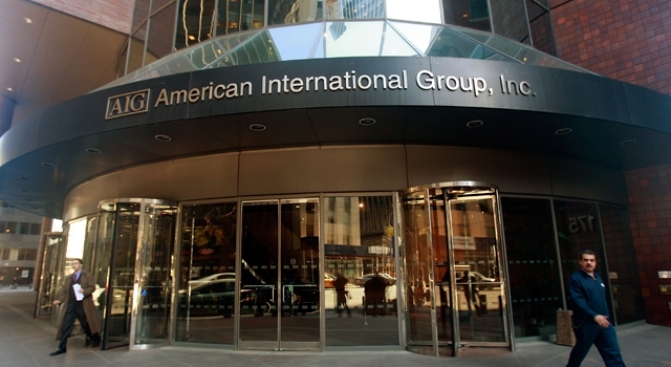 American International Group's recklessness with bonuses and the resulting outrage could doom the release of future economic rescue funds, Rep. Paul E. Kanjorski told CNBC. As Congress prepares to grill AIG (NYSE: AIG) CEO Ed Liddy Wednesday, Kanjorski said the company's move to award $165 million in bonuses could mark a watershed moment in voter distrust of corporate America and hamstring Washington's efforts to rejuvenate the economy. Kanjorkski, a member of the House Financial Services Committee and chairman of the House capital markets subcommittee, will be one of the questioners of Liddy at today's hearing. CNBC.com will carry the hearings live beginning at 10 am New York time. "What this represents is a straw that maybe broke the camel's back," Kanjorski said in a live interview. "The American people may have lost their patience with the attempt to help Wall Street and make a recovery to the American economy. That would be tragic." In withering criticism directed at both AIG's corporate excess as well as the Obama administration, the Pennsylvania Democrat said the public is looking for accountability both from Washington and Wall Street. "I'm sick and tired of hearing the administration and the secretary of the Treasury say, 'I just found out about it,' " Kanjorski said. "That's not true, and if (Treasury Secretary Timothy Geithner) did just find out about it on Thursday or Wednesday then he better get to this mail department and telephone people because we communicated with the Treasury people at least six or seven times." Asked whether he thought Geithner should be fired, Kanjorski declined to give the secretary a vote of confidence, saying the decision is up to President Obama. And while he said he understands the outrage over the bonuses, it's more important to fix the problems at AIG and move forward. "The ultimate objective is to save the American and the world economy and not to worry about bonuses and compensation and everything else, although that's very important," Kanjorski said. "The most important thing is to make sure we survive, and we're going to do that and we can do but but we can't do that when we're looking like the Keystone Kops." "It's not only that Liddy has caused problems for AIG or lost the bonus money, he may have putin jeopardy the entire recovery program of the United States and that is a gross act." As for today's hearing, Kanjorski said Liddy must be forthcoming. "From this day on Mr. Liddy better come in and under oath tell us that he's prepared and he has a plan to solve the problems at AIG and he's not going to interfere with the economic recovery of the United States anymore," Kanjorski said. "If he can't he should consider what he's going to do in his future with AIG."